It will follow a figure of eight bringing you through Start/Finish allowing your friends, family and spectators to get a glimpse of you huffing and puffing your way around the course. Start/Finish is on the East Strand in front of the Watersports Centre. 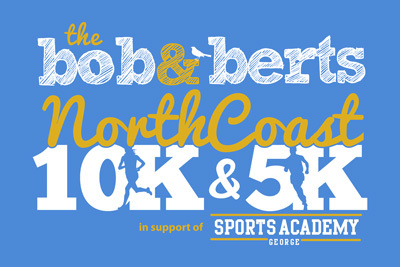 The 10K will begin with the participants running along East Strand, then Whiterocks. Once runners reach the end of Whiterocks they will then continue up to the Royal Court Hotel, turning right onto the footpath along the road returning to Portrush, passing the Royal Portrush Golf Club, ensuring that runners remain on the footpath. They will continue on the road, past the petrol station and then turning off Causeway Street down the alley way to the Watersports Centre, then along the promenade, on their approach to Ramore Head. Heading towards Ramore head, keep the tennis courts on your left, right hairpin turn up and over Ramore Head and back on yourself towards Start/Finish. On their final run down the promenade they will take a hairpin left down the ramp back on the beach as they cross the Start/Finish. The 5K will have the same Start/Finish as the 10K. 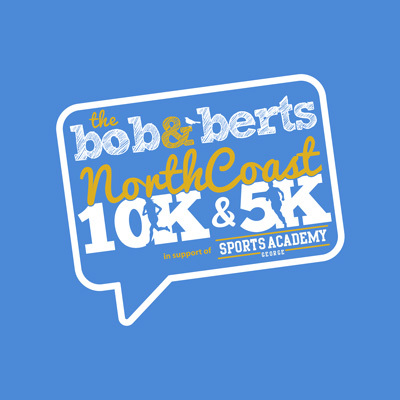 Starting at the Portrush East Strand Carpark, participants will make their way along the East Strand and the Whiterocks, turning and travelling back to the Start/Finish, completing the 5K.